Republic of Korea government’s disciplinary board decided to dismiss Ambassador Kim Moon-hwan over sexual harassment allegations and notified the Ministry of Foreign Affairs of its decision. 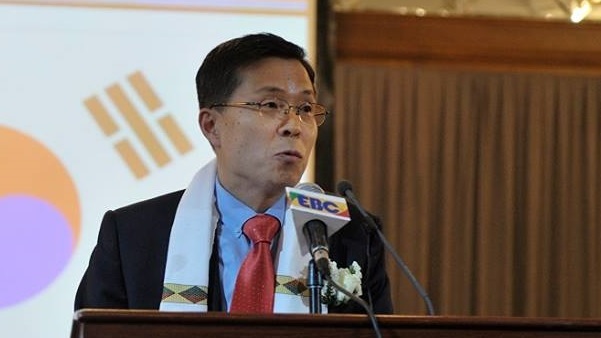 SEOUL, South Korea (Yonhap)―South Korea’s top envoy to Ethiopia will be dismissed from his post over sexual harassment allegations, the foreign ministry here said Wednesday. The government’s disciplinary board decided to relieve Ambassador Kim Moon-hwan in mid-September and notified the ministry of its decision on Tuesday, 26th September 2017, according to official sources. The ministry conducted its own probe in July into allegations that Kim had sexually harassed several female staff members. Currently, prosecutors are investigating the case. Kim is accused of making inappropriate physical contact with a female embassy employee and having drinks with female volunteers from a ministry-affiliated agency in an “improper” manner. He has denied any wrongdoing. The allegations were revealed in the process of looking into a separate case involving another diplomat at the embassy, who was later sacked after he was found to have sexually assaulted a female staff member.